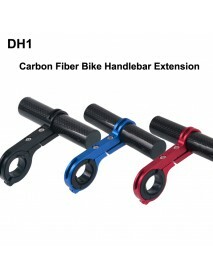 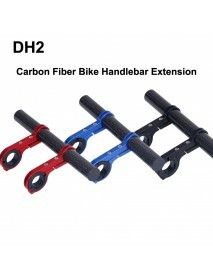 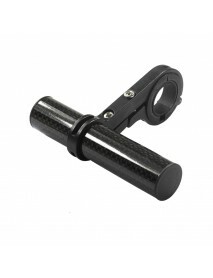 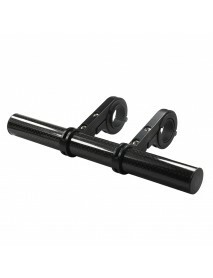 Product Specifications:Material:Aluminum Textured / OP ReflectorDimension:45mm(D) x 40mm(H)Emitter h.. 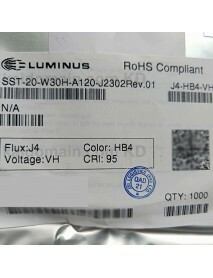 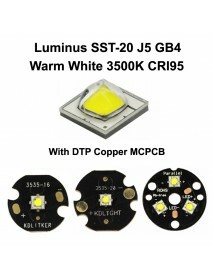 Product Specifications:Material:Aluminum Textured / OP ReflectorDimension:20.4mm(D) x 11.2mm(H)Emitt..
Luminus SST-20 J5 GB4 Warm White 3500K High CRI95 .. 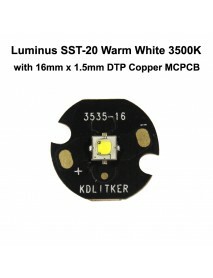 Features:	High Brightness Cool White LED with maximum output in excess of 900 lm	Available in 2700K,..
7.5mm(D) x 12mm(H) DIY Gold Plated Battery / Drive..
DIY Gold-plated Battery / Driver Contact Support Springs for LED FlashlightsProduct Specifications:S..
Luminus SST-20 J4 HB4 Warm White 3000K High CRI95 ..
Nightwatch Seeker NS22 Cree XHP70.2 Neutral White .. 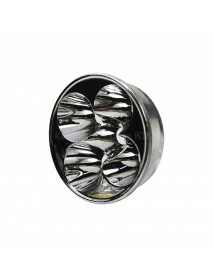 Product Specifications:Brand:NightwatchModel:Seeker NS22Flashlight Material:HAIII Hard Anodization A..
52.5mm(D) x 17.4mm(H) SMO Aluminum Reflector for 5.. 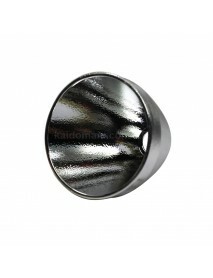 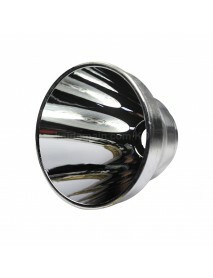 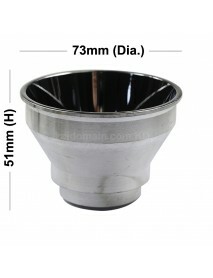 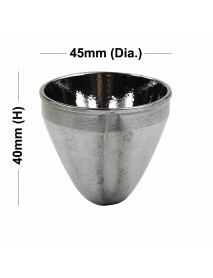 Product Specifications:Material:Aluminum Textured / SMO ReflectorDimension:52.5mm(D) x 17.4mm(H)Emit..
73mm(D) x 51mm(H) SMO Aluminum Reflector for Cree .. 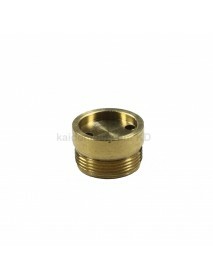 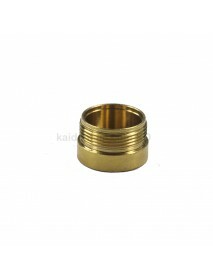 Product Specifications:Material:Aluminum Textured / SMO ReflectorDimension:73mm(D) x 51mm(H)Emitter ..
DIY 21.8mm x 13mm Brass Driver Pillar Set for HS-8.. 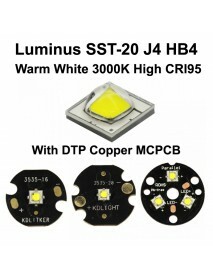 Product Specifications:- compatible with 16mm LED Emitter and 17mm driver boardMaterial:BrassPillar ..
Luminus SST-20 J2 JA3 Warm White 2700K CRI95 LED E..
KDLITKER P6-TRI Triple Nichia 219BT-V1 White 5700K.. 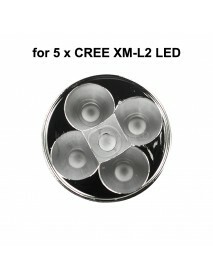 Product Specifications:LED:Nichia 219BT-V1 White 5700K High CRI92Input Voltage:3V - 9V ( 1 or 2 x 18..